In what may have been a move to call TransCanada's bluff, President Obama shut down the Keystone XL pipeline project, rejecting the application that would have brought 800,000 barrels a day of heavy crude oil scoured from enormous tar sand pits in Alberta Canada 1,179 miles south to refineries the U.S. Gulf Coast. 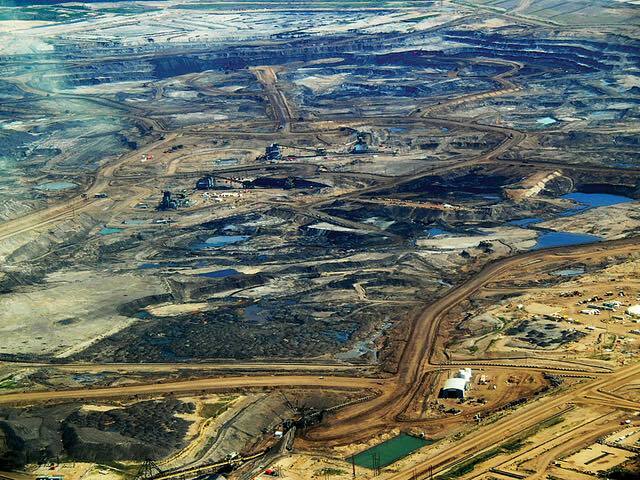 Producers can find other means to move the tar sands oil to market, mainly by rail, but at greater expense. When oil prices dip below $65 a barrel, demand for tar sands oil slumps, according to a State Department review. Tar sands oil is among the dirtiest, most energy intensive and expensive to recover, and recent falling oil prices have made the project less viable for producers. For most of the year, the price of oil has been hovering around $50/barrel. Many factors have likely weighed on the president's decision, now seven years in the making. The recent election of a liberal government in Canada led by Justin Trudeau may have influenced Obama's decision to act now. While a supporter of the Keystone project, Trudeau is considered much more environmentally friendly than his predecessor Stephen Harper, who pushed the pipeline as a major issue between the U.S. and Canada. Trudeau, on the other hand, has not made Keystone a central issue in his relationship to his southern neighbor, criticizing Harper for his intransigence toward Obama about the project. Not surprisingly, GOP presidential hopefuls pounced on the White House announcement, reportedly "furious" over the decision. Proponents of the Keystone XL pipeline have long claimed the economic benefits of the project, creating many thousands of jobs. State Department analysis estimates that 42,000 temporary jobs would be created over the two-year construction period (less than one-tenth of one percent of the country's total employment), 3,900 of those involved directly in construction and the remainder in support jobs such as food service. It is estimated the project would create only 35 permanent jobs. Unemployment in the U.S. has fallen to 5 percent, the lowest in more than seven years. Obama made it clear he would not leave the decision over Keystone to the next president. With all the factors falling into place and the COP21 climate talks in Paris soon to begin, it apparently was the right time for the president to finally announce his decision, another step in securing his climate legacy before he leaves office. In many ways the furor created by the proposed project over the years is largely symbolic, as a single infrastructure project won't have much impact in global carbon emissions. But it is clear the symbolism, for both opponents and proponents, is important. It's uncertain whether the Keystone XL pipeline is dead for good. Supporters are sure to challenge the decision in court, and if a Republican is elected president next year, it may be revived from the dead. But for now, the decision is made and the Keystone pipeline will not be built.